These magnetic sheets have a glossy surface that works with any inkjet printer. Find thousands of uses for them, at work or in the home. They can carry safety or advertising messages, and they also make a fun crafts project for kids. Customize digital photos and images for "instant" picture magnets! 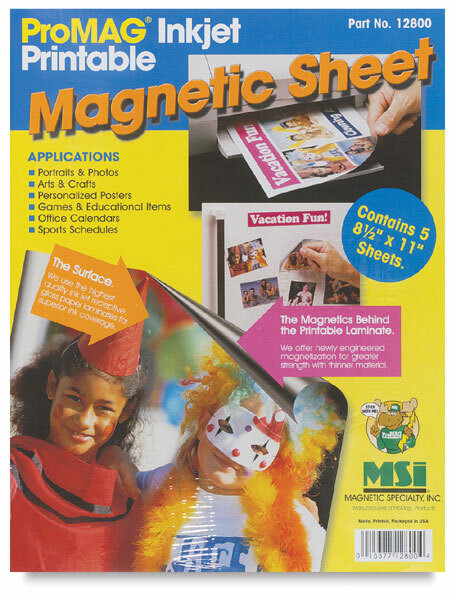 Scan works of art and create refrigerator magnets for the home, or use them for school and commercial applications, such as signs.